The Ukadelic line features designs submitted by ukulele lovers from all over including three new designs for 2017. 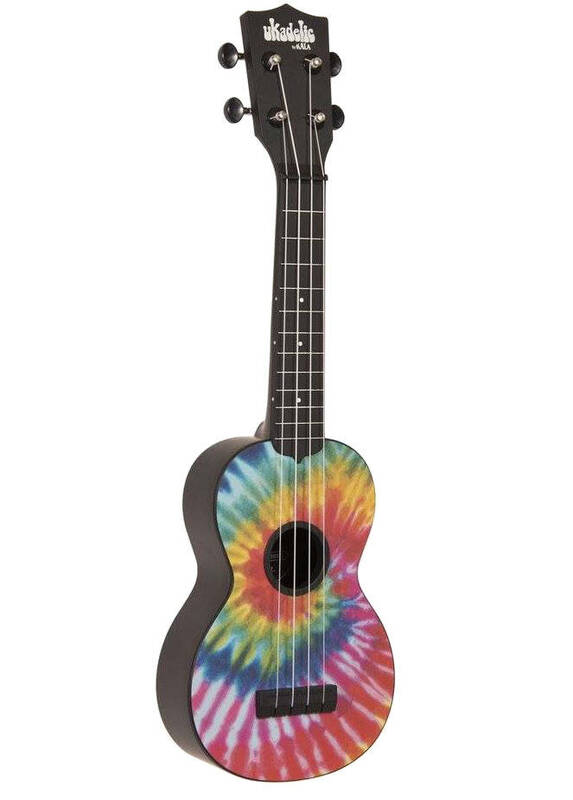 These playful ukes now come in durable plastic and there is a design to get anyone excited. 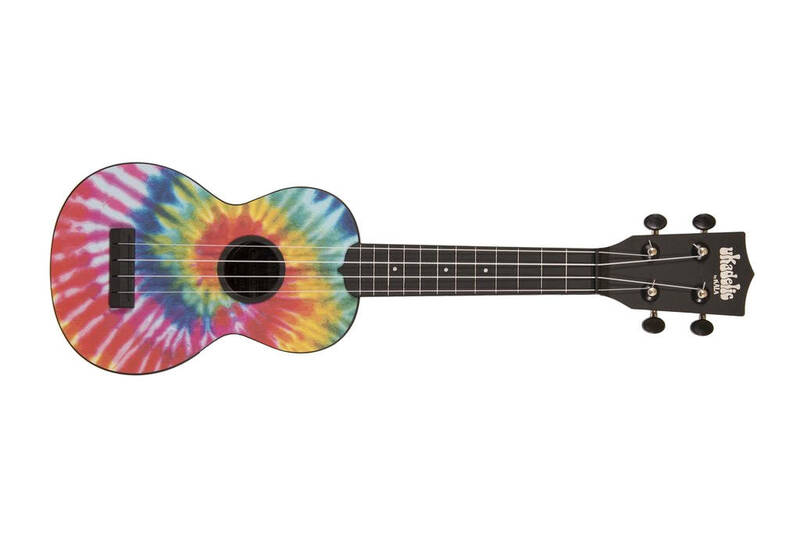 While tie-dye is an ancient art, the inspiration for this uke comes from the psychedelic style made famous by the Hippie movement in the 1960s. The bright colours and kaleidoscopic patterns radiate the love and free spirit associated with the movement.